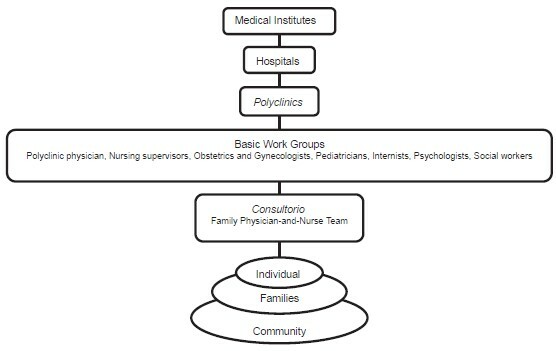 This review was conducted using resources from libraries, websites, Japanese articles and search engines, including Google, Google Scholar and PubMed, using the keyword combinations of Cuba, healthcare, primary care, disaster management, disaster resilience and community-based disaster risk reduction. The 50 most relevant publications from 2002 to 2014 were reviewed in detail and are included herein. This paper focuses on the Cuban healthcare system and disaster management strategy and reconsiders sustainable and resilient disaster management in Japan on the basis of lessons learned from Cuba and the HFA priority actions. Officials and resident leaders responsible for DRR management in local regions should modify disaster management categorization in Japan to a prevention strategy similar to the Cuban disaster management plan and HFA priority actions [Table 4] and [Figure 2]. ,, Therefore, in the future, comparison of the healthcare systems and categorization of EWS and disaster management in HFA is necessary for both Cuba and Japan. The Cuban community-based healthcare and disaster management system is exemplary. Japan could learn many lessons from Cuba. Though the country frequently experiences major hurricanes, very few deaths occur. Thus, Cuba has excellent DRR management. However, Cuba faces many challenges; therefore, its system can only serve as a partial reference. Cuban disaster management involves preventive principles, education and community resilience. Similarly, Japanese disaster management should shift focus from emergency response to preventive strategies similar to those in the Cuban disaster management plan and HFA. Moving towards more sustainable and resilient disaster management in Japan is essential. United Nations Human Settlements Programme. Case study: Cuba- a culture of safety: Headquarters (UN-HABITAT). 2008. Available from: http://www.preventionweb.net/files/4294_Cuba1.pdf [Last accessed on 2014 Aug 15]. Mas Bermejo P. Preparation and response in case of natural disasters: Cuban programs and experience. J Public Health Policy 2006;27:13-21. De Vos P, García-Fariñas A, Álvarez-Pérez A, Rodríguez-Salvá A, Bonet-Gorbea M, Van der Stuyft P. Public health services, an essential determinant of health during crisis. Lessons from Cuba, 1989-2000. Trop Med Int Health 2012;17:469-79. Thompson M. Lessons in risk reduction from Cuba; Case study prepared for Enhancing Urban Safety and Security. Global Report on Human Settements, 2007. Available from: http://mirror.unhabitat.org/downloads/docs/GRHS.2007.CaseStudy.Cuba.pdf [Last accessed on 2014 Aug 15]. Campion EW, Morrissey S. A different model--medical care in Cuba. N Engl J Med 2013;368:297-9. Aguirre BE. Cuba′s Emergency Management and the Need for a Holistic Understanding of Risk. Cuba in Transition. ASCE. 2009. Available from: http://www.ascecuba.org/publications/proceedings/volume19/pdfs/aguirre.pdf [Last accessed on 2014 Aug 15]. United Nations Office for Disaster Risk Reduction (UNISDR). Hyogo Framework for Action 2005-2015: Building the resilience of nations and communities to disasters. UNISDR. 2007. Available from: http://www.preventionweb.net/files/1037_hyogoframeworkforactionenglish.pdf [Last accessed on 2014 Aug 15]. United Nations Office for Disaster Risk Reduction (UNISDR). Cuba: National progress report on the implementation of the Hyogo Framework for Action (2011-2013). UNSIDR. 2011. Available from: http://www.preventionweb.net/files/32305_cub_NationalHFAprogress_2011-13.pdf [Last accessed on 2014 Aug 15]. Briggs CL. "All Cubans are doctors!" news coverage of health and bioexceptionalism in Cuba. Soc Sci Med 2011;73:1037-44. Cuba Demographics Profile 2013. CIA World Factbook. 2013. Available from: http://www.indexmundi.com/cuba/demographics_profile.html [Last accessed on 2014 Aug 15]. World Health Organization. Health profile, Cuba: WHO; 2012. Available from: http://www.who.int/gho/countries/cub.pdf?ua = 1 [Last accessed on 2014 Aug 15]. World Health Organization, Health profile, USA: WHO; 2012. Available from: http://www.who.int/gho/countries/jpn.pdf?ua = 1 [Last accessed on 2014 Aug 15]. World Health Organization, Health profile, Japan: WHO; 2012. Available from: http://www.who.int/gho/countries/jpn.pdf?ua = 1 [Last accessed on 2014 Aug 15]. World Health Organization, Health profile, United Kingdom: WHO; 2012. Available from: http://www.who.int/gho/countries/gbr.pdf?ua = 1 [Last accessed on 2014 Aug 15]. The World Bank. Physicians (per 1,000 people): IBRD IDA; 2014. Available from: http://data.worldbank.org/indicator/SH.MED.PHYS.ZS [Last accessed on 2014 Aug 15]. Fitz D. Why Is Cuba′s Health Care System the Best Model for Poor Countries? MR. 2012. Available from: http://mrzine.monthlyreview.org/2012/fitz071212.html [Last accessed on 2014 Aug 15]. Miranda DS, Choonara I. Hurricanes and child health: Lessons from Cuba. Arch Dis Child 2011;96:328-9. Keck CW, Reed GA. The curious case of Cuba. Am J Public Health 2012;102:e13-22. Mesa G. The cuban health sector and disaster mitigation. MEDICC Rev 2008;10:5-8. Ono N. The current situation of integrative medicine in Asia and Cuba: Integrative Medicine, Theory and practice part 1. In: Atumi K, Editor. Ch. 9. Vol. 2. Revised edition Tokyo Yohbunsha; 2012. p. 178. (in Japanese). Susan EM, David LS, Joan B. Community Health Care in Cuba. In: Susan EM, David LS, Joan B, Editors. Chicago: Lyceum books; 2009. p. 288. Rico HC, Gomez VG. Health sector preparedness for emergency or disaster situations. MEDICC Review. 2004;7. In the Eye of the Storm: Disaster Management Lessons from Cuba, 21-23. Available from: http://www.medicc.org/resources/documents/medicc-review-disaster-management.pdf [Last accessed on 2014 Aug 15]. Yoshida S. Big miracle in a little country. 1 st ed. Tokyo: WAVE publishers; 2008. p. 221. (in Japanese). Carlos LJ. Aspectos esenciales sobre la mitigacion de los desastres naturales en Cuba. in Cuba in Transition, Proceeding. Fifth Annual Meeting of the Society for the Study of the Cuban Economy. Vol 5. Washington: Association for the Study of the Cuban Economy; 1995. p. 399-406. Holly S, Vogelmann K. Popular mobilization and disaster management in Cuba. Public Adm Dev 2002;22:395-8. Aguirre BE, Trainor JE. Emergency Management in Cuba: Disasters Experienced, Lessons Learned, and Recommendations for the Future. In: David A, Editor. FEMA Comparative EM Book-Chapter-EM in Cuba-Disasters Experienced. doc, 2013. Ch. 28. p. 28. Available from: http://training.fema.gov/EMIWeb/edu/CompEmMgmtBookProject.asp [Last accessed on 2014 Aug 15]. Keyser J, Smith W. Disaster Relief Management in Cuba. Why Cuba′s disaster relief model is worth careful study. International Policy Report, 2009. Available from: https://www.american.edu/clals/upload/CIP-Disaster-Relief-Management.pdf [Last accessed on 2014 Aug 15]. Oxfam. The climate changes, threatens and demands adaptation: A look at the Cuban experience of protection against climate change. Oxfam International; 2010. p. 38. Available from: http://www.oxfam.ca/sites/default/files/Oxfam%20report%20-%20A%20look%20at%20 th e%20Cuban%20experience%20of%20protection%20against%20climate%20change.pdf [Last accessed on 2014 Aug 15]. Grogg P. Community Drills Part of Cuba′s Top-Notch Disaster Response System. IPS. 2012. Available from: http://www.ipsnews.net/2012/05/community-drills-part-of-cubas-top-notch-disaster-response-system/[Last accessed on 2014 Aug 15]. Rodriguez FV, Lopez NB, Choonara I. Child health in Cuba. Arch Dis Child 2008;93:991-3. Lopez NB, Choonara I. Can we reduce the number of low-birth-weight babies? The Cuban experience. Neonatology 2009;95:193-7. Newhouse E. Disaster medicine: U. S. Doctors Examine Cuba′s Approach. CIPReport, 2012. p. 6. Available from: http://www.ciponline.org/images/uploads/publications/0712_Delegation_ReportCuba.pdf [Last accessed on 2014 Aug 15]. Pichler A, Striessnig E. Differential vulnerability to hurricanes in Cuba, Haiti, and the Dominican Republic: The Contribution of Education. Ecol Soc 2013;18:31. Llanes Guerra J, Montes de Oca Dias M. Cuba: Beyond a simple response to hurricanes. UNISDR: Newsletter ISDR Inform, 2002. Available from: http: www//eird.org/ing/revista/No6_2002/art9.htm [Last accessed on 2014 Aug 15]. Callaway DW, Yim ES, Stack C, Burkle FM Jr. Integrating the disaster cycle model into traditional disaster diplomacy concepts. Disaster Med Public Health Prep 2012;6:53-9. Kirk JM. Medical internationalism in Cuba: An extraordinary success. Counterpunch weekend edition of Dec. 14-16, 2012; 2012. p. 13. Available from: http://www.canadahaitiaction.ca/sites/default/files/Cuba′s%20medical%20internationalism%20J.%20Kirk.%20print_0.pdf [Last accessed on 2014 Aug 15]. Tanaka T. Cuba socialist system keeping and ALBA development: IDE-JETRO. In: Yamaoka K, Editor. Cuba stand at the crossroads. 1 st ed. Ch. 3. Tokyo: Iwanami; 2012. p. 113-40 (in Japanese). Feinsilver JM. Fifty years of Cuba′s medical diplomacy: From idealism to pragmatism. Cuban Stud 2010;41:85-104. Blue SA. Cuban medical internationalism: Domestic and international impacts. J Lat Am Geogr 2010;9:31-49. De Vos P, De Ceukelaire W, Bonet M, Van der Stuyft P. Cuba′s health system: Challenges ahead. Health Policy Plan 2008;23:288-90. Frank M. Cuba Reorganizes Family Doctor Program: Reuters; 2008. Available from: http://www.reuters.com/article/2008/04/08/us-cuba-reform-health-idUSN0835601820080408?page Number = 2 and virtualBrandChannel = 0 and sp = true. [Last accessed on 2014 Aug 15]. Mesa-Lago C, Pérez-López J. Cuba′s Aborted Reform: Socioeconomic Effects, International Comparisons, and Transition Policies. In: Mesa-Lago C, Pérez-López J, Editors. Miami: University Press of Florida; 2005. p. 240. Ministry of Internal Affairs and Communications. Japanese elderly by statistic (over age 65). MIC. 2013. Available from: http://www.stat.go.jp/data/topics/pdf/topics72.pdf [Last accessed on 2014 Aug 15]. Coyula M. Havana: Aging in an aging city. MEDICC Rev 2010;12:27-9. Nakamura T, Yoshida T. Why is the world focused on disaster management of Cuba? In: Nakamura T, Yoshida T, Editors. 1 st ed. Tokyo: Tsukijishokan; 2011. (in Japanese). Isayama K, Shaw R. Integrated healthcare as the future of disaster recovery potential in Tohoku region. In: Shaw R, Editor. Disaster Recovery. Disaster Risk Reduction. 1 st ed. Japan: Springer; 2014, p. 363-83. Isayama K, Shaw R. Building disaster resilient community through healthcare networking. In: Shaw R, Editor. Community Practices for Disaster Risk Reduction in Japan, Disaster Risk Reduction. 1 st ed. Japan: Springer; 2014. p. 91-119. Isayama K, Shaw R. Lessons of health sector recovery on Tohoku disaster. In: Shaw R, Editor. Tohoku Recovery: Challenges, Potentials and Future. Disaster Risk Reduction. 1 st ed. Japan: Springer; 2015. p. 51-64.